Lee Sandifur built KARI-SAN (15'2" x 4'10") from plans by Samuel Devlin using stitch-and-glue construction. 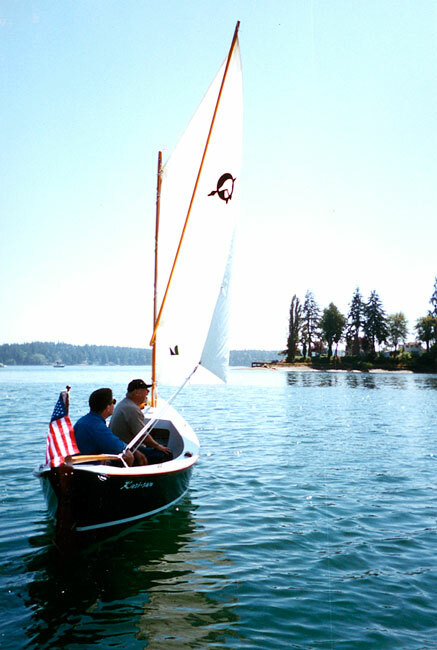 He launched her in Olympia, WA on August 18, 2001. She carries a 13' long mast, which he built of Alaskan cedar. 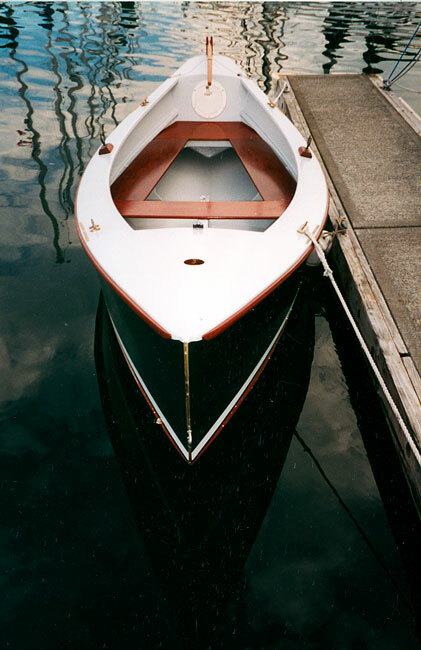 The hull of made from okoume plywood with Port Orford cedar stringers, with purple heart wood for the seats, rudder, and rubrail. Lee modified the plans to add decking, sealed compartments fore and aft, and a lead-shot-weighted centerboard. He spent 450 hours building KARI-SAN and now uses her every weekend.